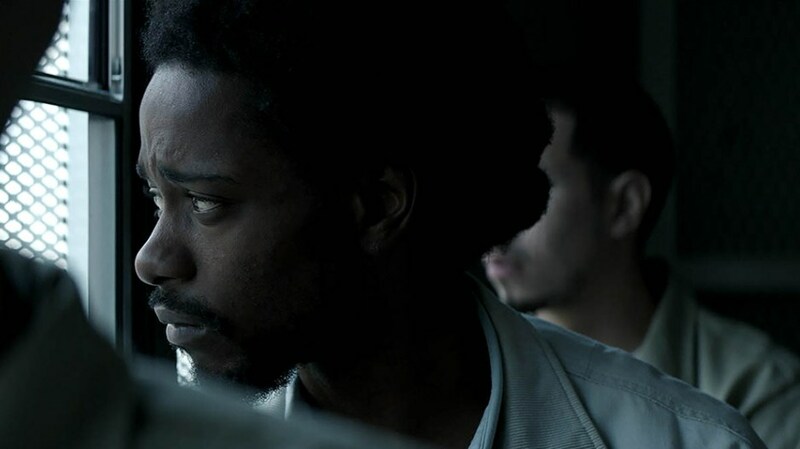 CROWN HEIGHTS is an earnest, plodding and ultimately redundant film adaptation of the true story of a miscarriage of justice. In 1980, West Indian American immigrant called Colin Warner was wrongfully arrested and convicted for murdering a man in Brooklyn, New York. The evidence was scant, and his conviction apparently rested on the testimony of a young teenager who contradicted himself on the stand. Although sentenced to 15 years to life, Colin served over 20 years because every time he went up for parole, he refused to admit that he'd committed a crime. He showed no remorse, and was therefore refused parole. Luckily for him, his friend Carl King campaigned for his release, raising money for lawyers and gathering much of the testimony himself, at the expense of his marriage and job. This resulted in Colin finally being released and receiving a justifiably handsome payout. This story was the focus of a WBEZ podcast as part of the This American Life series (you can listen here) and benefits from the voices of the protagonists - their personalities, and the tension of how the story unfolds. Within its hour running time we can a real sense of their character, relationship and the sheer effort it took to get Colin released. It was listening to this podcast that inspired writer director Mark Ruskin (BOOSTER) to create this fictional treatment of the same story. The problem with CROWN HEIGHTS is its pedestrian structure, slow pace and one-note characterisation. LaKeith Stanfield (GET OUT) plays Colin Warner as a gentle, weary soul - sympathetic but unchanging, even physically, as the decades pass. And Carl King (Nnamdi Asomugha - HELLO MY NAME IS DORIS) plays the campaigning friend as a similarly straightforward, weary, obsessive man. There's little shade. The court system is simply unfeeling. The good guys are good. I found myself questioning what a feature film could act to this story. My conclusion was that these were two exceptional people. And a feature that told us what it was that made Colin able, at age 18, to endure 20 years of prison and emerge with his dignity and humanity in tact. And what made Carl willing to sacrifice so much for justice. Maybe the answer is in their childhood, or in a wider social context, or in a more nuanced depiction of their personalities. The problem is that none of this makes it into the film. The result is, then, a painfully dull rehash of a story that is far more compellingly told in its original audio format. I also wonder whether this film suffers from being released at a time when we are getting deeply provocative and well argued and profound investigations of the conditions that enable such miscarriages to take place. As affecting as this story of one false conviction is, when placed against wide ranging investigations such as THE 13th or OJ: MADE IN AMERICA, how much new does it really offer? CROWN HEIGHTS played Sundance 2017 and will be released in the USA on August 25th. The movie has a running time of 94 minutes and is not yet rated.